Sit. Stay. Good blog. 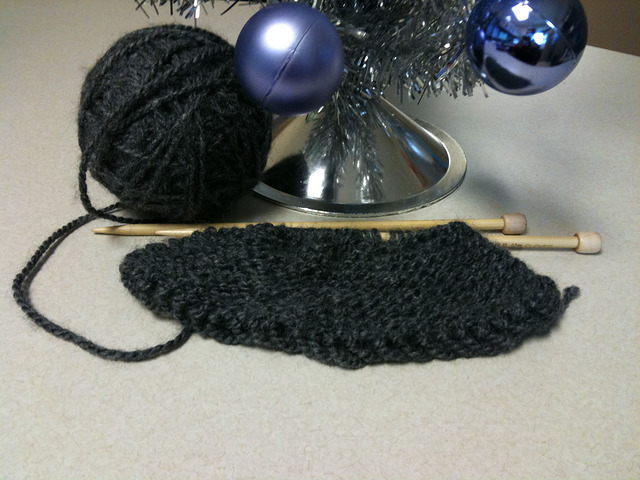 : Smitten with knittin'. I wanted to make the scarf about twice as long, but I made a rookie mistake - I didn't buy enough yarn to finish the project! What was worse was that, after going to four stores, I couldn't find the same yarn anywhere. I told Mr. Awesome I'd start another one for him - after all, this one was pretty weird looking - but he said he wanted me to finish this one. So we picked out a color that was pretty close to the original and I kept knitting. And then I ran out of that yarn, too. 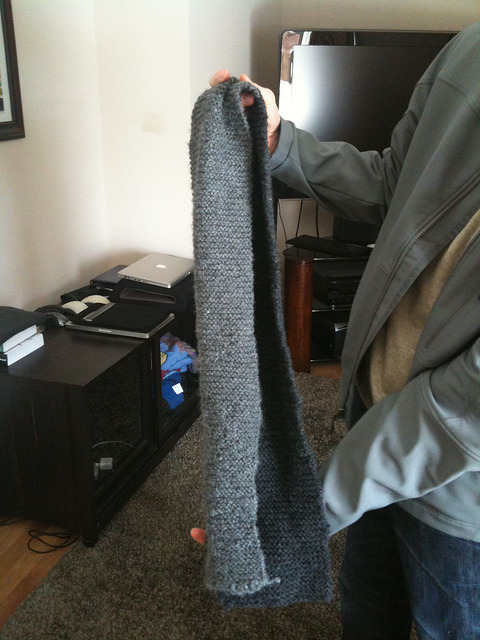 But by then, the scarf was the right length. Now came time to end the scarf, or bind off. I'd heard this was sort of tricky, but thanks to the wonders of the interwebs and YouTube, I was able to learn to bind off on my own by watching some videos and reading a few tutorials. Much like a proud parent, I've turned my creation loose on the world to warm Mr. Awesome's neck. It will come in especially handy during these cold, snowy days. 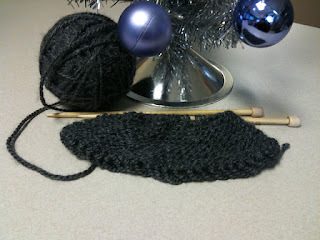 So now that I knew the knit stitch, I needed to know how to purl. To the Internets! The DIY Network has some terrific video tutorials that helped me out a whole bunch, and Ravelry is going to prove to be indispensable. 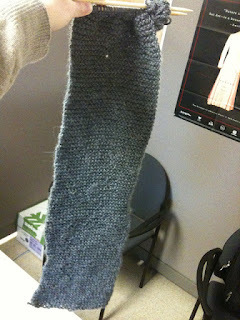 I've since knitted two skeins into it and am working on a third. 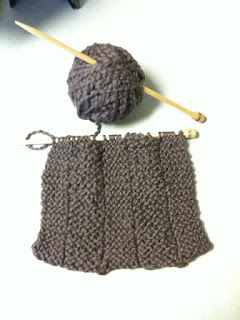 This will be a nice, long, snuggly scarf. Once this is done I have plans for a lacy scarf, some dishcloths and towels and eventually want to take some classes on how to make hats, mittens and socks. I like knitting better than embroidery because the project is so much more contained and portable - with embroidery, you deal with cloth, hoops, needles, and lots and lots of thread. With knitting, it's a ball of yarn and (usually) a couple of sticks, all stuck to each other and easy to toss into a purse and take out in a waiting room. I can't wait to get home tonight and knit some more! Impressive! When you get to stocking caps I'll trade you something for one! I can totally relate! I got hooked on knitting last summer and have become such an addict. I love how you're diving right in!! Me oh my... this is good. I'm eating WHAT?! Depression-era food that's not depressing.